Courtesy of Boardwalk Real Estate. Stunning Gehan Home with a back yard paradise featuring historic fountain, raised flowerbeds, 80% of backyard pavers — Located blocks from GALVESTON BAY and minutes from Clear Lake, I-45, and Kemah Boardwalk. 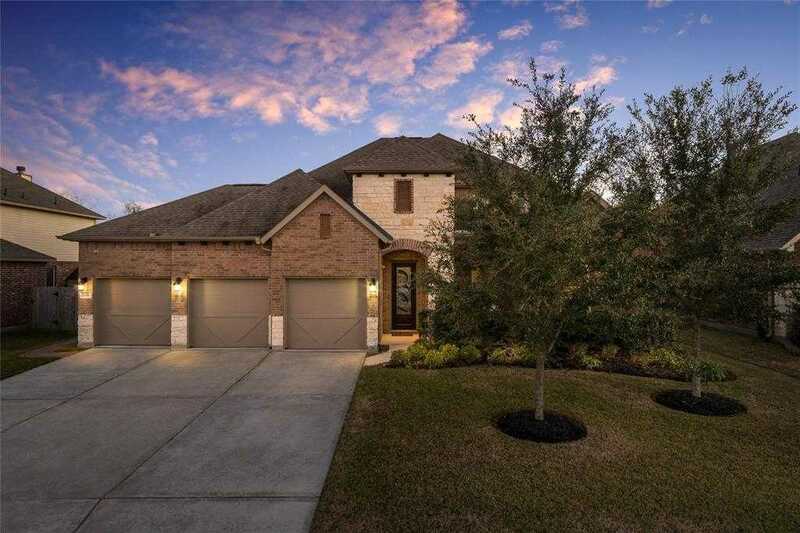 This 3 bed 2.5 bath with 4-CAR GARAGE is UPGRADED to the MAX –Plantation shutters throughout, Granite ISLAND kitchen, 5 Burner, 42 inch maple cabinets, stainless appliance package, exposed wood beams in living, RICH hardwoods, iron spindle staircase, formal dining, GAME ROOM, private master suite, covered patio, & sprinkler system.